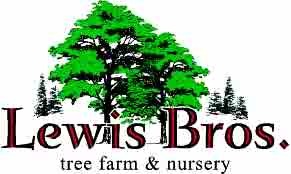 Lewis Brothers is the answer for all your tree needs. In order to make Lewis Brothers a one stop shop for all your tree needs we also offer tree trimming, removal, and stump grinding through a trusted sub, who also is our employee. Dylan Wade has been a full time employee at Lewis Brothers Tree Farm for 17 years. When he is not working for us, he is running Wade Tree Service as owner and operator. This relationship allows us to take care of all your needs from cutting down existing trees, to planting healthy replacements, and then servicing your tree health needs. Give us a call, request a quote, send an email. Let us show you what we can do to take care of your entire project from beginning to end.